Sat June 22 - 9 to 1 Garage Sale. More details to follow. Ladies's Auxiliary Royal Canadian Legion. We want to continue to serve our community. Our Criteria is: Must be of legal age. Must enjoy having fun. Must enjoy working together. Must enjoy working for the community. 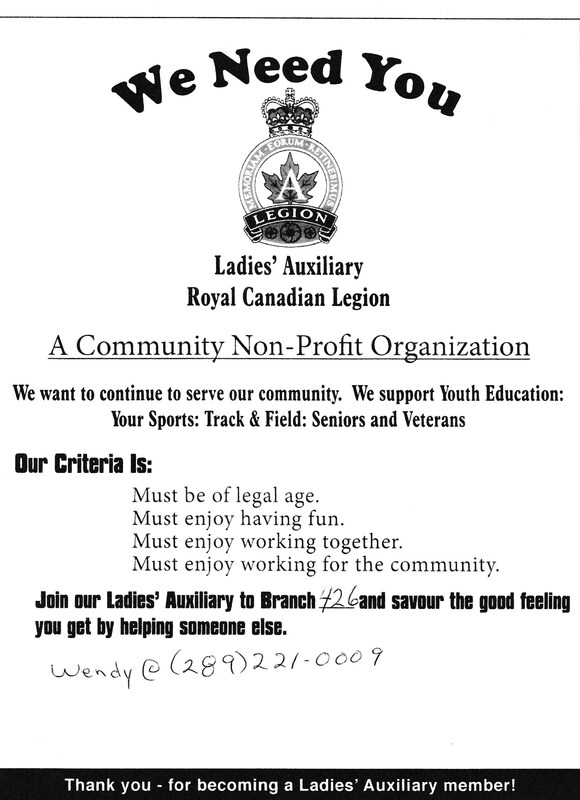 Join our Ladies' Auxiliary to Branch 426 and savour the good feeling you get by helping someone else. Please contact Wendy @ (289) 221-0009 for further info. We Need You. Please click here for copy of flier!.